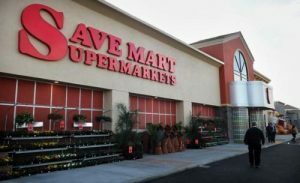 Do you shop Save Mart for your weekly grocery needs? Does the company offer your family a fair amount of savings for your food bill each month? The company desires to know your views of their store. The Save Mart feedback survey offers a great way to provide the company with valuable information. And the info you provide gives them clues to how they are doing providing some of your basic family needs. To start the online survey, you will need your 13-digit code which is printed on the bottom of your most recent paper receipt. Enter this number along with the time of your visit and confirm you are at least 18 years old on the survey home page. This survey is available in English as well as Spanish. Are you in a hurry and don’t want to have to run in to shop for your groceries? Then, be sure to give the Curbside Pickup a try at Save Mart. Shop for you needs online and the store will shop for you. Simply choose the store location, add items to your online cart, pay online, and pick up curbside! Are you curious about peak season picks at Save Mart? Then, be sure to follow their website information. They offer insights into info about a variety of fruits, veggies, and drinks. You will even find some simple recipes on site. Currently, the peak season pick is the pumpkin. Along with details about pumpkins, you will find recipes for Tofu Pumpkin Pie, Spicy Steak Satays with Pumpkin Aioli, and Pumpkin Flan. Try one of these delicious recipes at your next family holiday! After doing your family shopping at Save Mart, take their online questionnaire at www.savemart.com/survey!